She found she liked painting wildlife and wilderness scenery, and puts this down to her father's influence. He had shared with her his deep love and respect for nature. Eila Duncalfe began painting in August of 2002. Though she had little opportunity to develop her interest in art as a youngster, she enjoyed drawing as a young mother on the farm near Winnipegosis, Manitoba. She entertained her children, their cousins and friends sketching animals and farm machinery, etc. After the death of her husband, Eila moved her family north to Flin Flon. Those were difficult years, with no time for sketching, as she raised her children and worked doing re-upholstery and home-care. However, when she joined the Flin Flon School Division in 1989, she gained the financial security to leave an unhappy second marriage. School completed, her daughters moved out of town, and though her son made his home in Creighton, Eila needed something more to fill a sense of emptiness in her life. In 2002, when Eila visited her daughters in Dryden, Ontario, Coronach, Saskatchewan and Calgary, Alberta, the long drive across the plains sparked a desire to paint. She began by using books and photos, and gave these paintings to family and friends. She found she liked painting wildlife and wilderness scenery, and puts this down to her father's influence. He had shared with her his deep love and respect for nature. She remembers as a four year old on the family farm, watching a burrowing owl find refuge in his gentle hands. Her father's encouragement to closely observe wild creatures stays with her still. Eila photographs her own subject material while enjoying all kinds of wildlife, including loons, bald eagles, sandhill cranes and otters. She spent a week taking pictures of a cinnamon bear and a black bear sow with four cubs. Soon Eila was donating paintings to help raise money for the local graduates, and school sports. Families in need were also benefiting from her generosity. Her first sales were to friends. Fellow employees, local hunters and trappers and local miners gave her not only compliments and encouragement, but also criticism. Far from being offended, she always valued comments that would help her develop her expertise. Encouraged by miners' appreciation of her painting "The Slag Dump", Eila began looking to the surface operations of HBM&S for subject matter. You will find her paintings hanging in local businesses and restaurants. 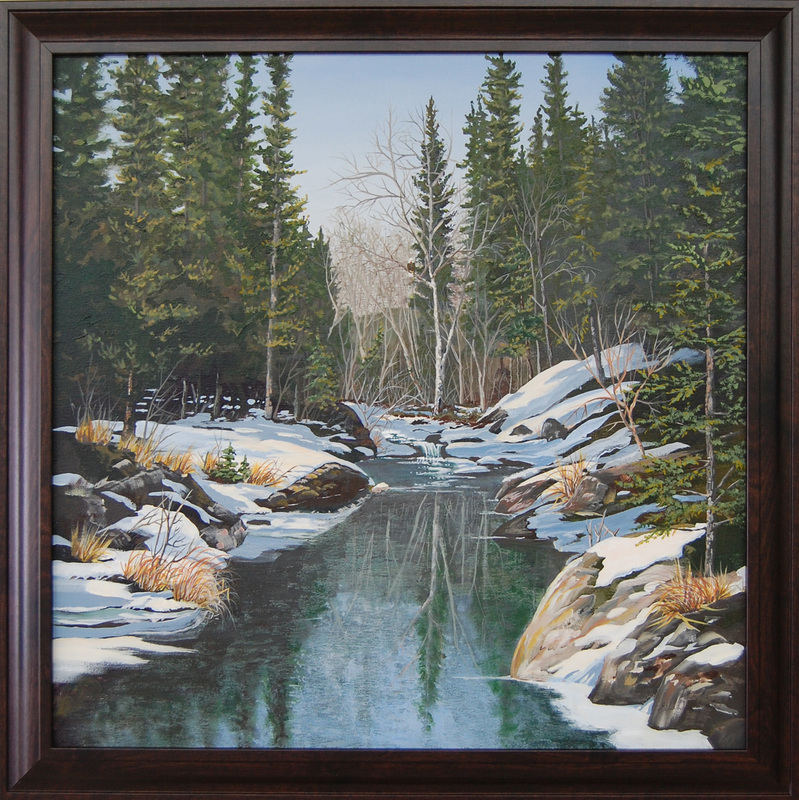 Congratulations to resident artist Eila Duncalfe who took first place in the Northern Saskatchewan Adjudicated Art Show in La Ronge (2013).